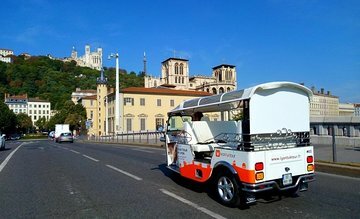 Ride en plein aire past top Lyon attractions on a private tour via electric tuk tuk. Choose between a 1- or 2-hour circuit that takes you past essential Lyon sights such as Place Bellecour and Parc de la Tête d'or while your guide provides insight into the attractions’ history. Tour includes heated seats and covers for cool weather. Maximum capacity is 6 places.